The Oshkosh P-Series 4x4 Snow Plow in 1:50th scale was released by TWH in 2006 with #TWH039-03004. 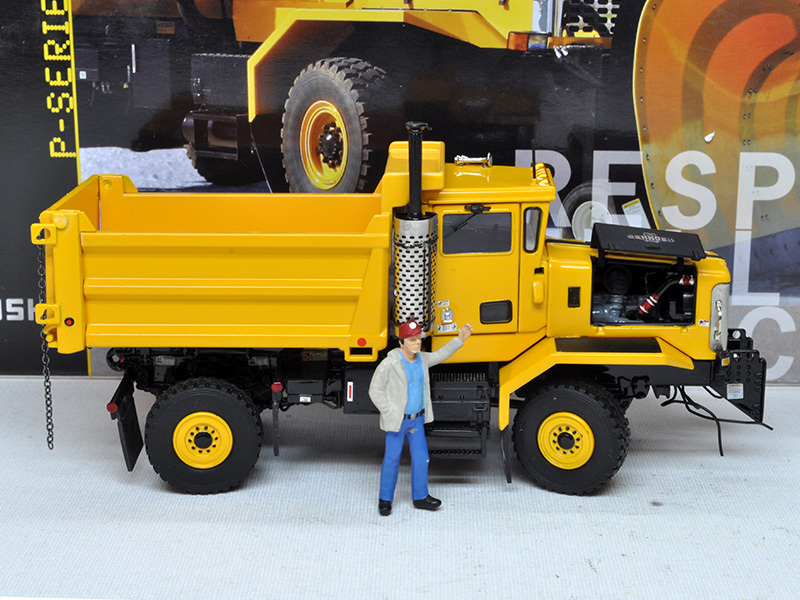 The Oshkosh P-Series 4x4 Snow Plow Truck was released as a two-axle 4x4 replica by Sword Precision Scale Models (run by Chuck Sword, the man behind DHS Diecast Collectables) in two versions: 300 pieces in an orange version and 1200 pieces in a yellow version. In addition, a three-axis variant was released in these two colors. As an OEM, Oshkosh has a wide product range that is provided with a Caterpillar power source. The Oshkosh P-Series 4x4 Snow Plow in 1:50th scale is like its big brother in 1:1 equipped with the Caterpillar C-13 ACERT diesel engine.